After an early breakfast we depart for Bwindi Impenetrable Forest via Mbarara town. 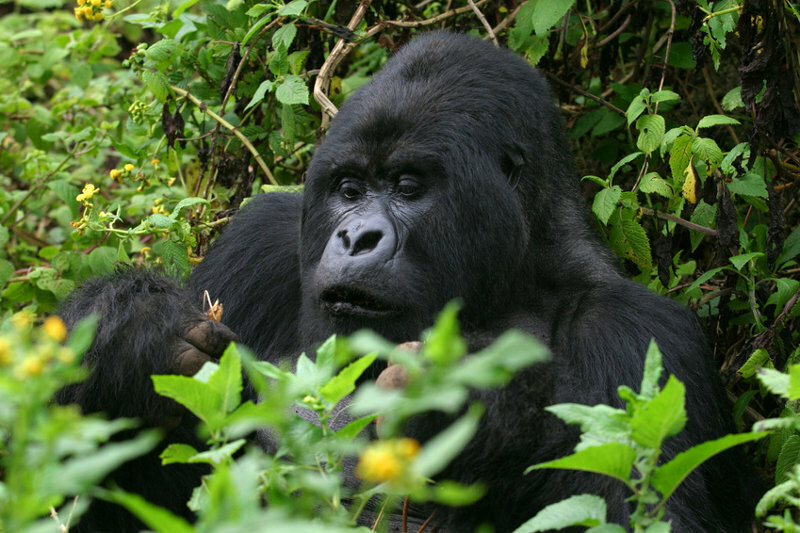 We drive through stunning volcanic landscape adorned with steep sided hills covered from top to bottom in neatly terraced plantations of bananas, tea and thick montane forests to Bwindi Impenetrable Forest National Park. The Bwindi area is a highly fertile, mountainous region with steep sided hills covered from top to bottom in neatly terraced rows of cultivation. You are really driving through the “Banana Republic” with banana plantations all around you, steep hills, small rivers……just amazing scenery. Arrive late afternoon at the park and check-in at accommodation. Breakfast and head for Kampala (about 5 hours driving) via Mbarara This route travels through breathtaking scenery and delightfully rolling plantations, some of the best in Uganda. Depending on how much time we have on us we can tour around Kampala’s crafts and souvenirs markets before checking in at your hotel or being transferred to the airport.